Top real estate analysts weigh in on the debate to buy or rent property in Dubai for expatriates, identifying the ideal price point in the market which offer the best long-term returns. According to Cluttons Middle East, market activity in studio, one, two and three-bedroom apartments, valued at a price point below AED 1.5 million, is the most active segment. In their opinion, it currently makes more financial sense for hopeful end-users who wish to offset the cost of rent to buy at these levels. Richard Paul, Head of Professional Services for Cluttons Middle East, said: “At this price point one and two bedroom apartments in an established area are dominating most of the activity in the market. The advice comes at a pivotal time as many of the region’s eyes are on Dubai for the opening of next week’s Cityscape Global, which offers visitors the opportunity to purchase properties from a number of the UAE’s prominent developers. 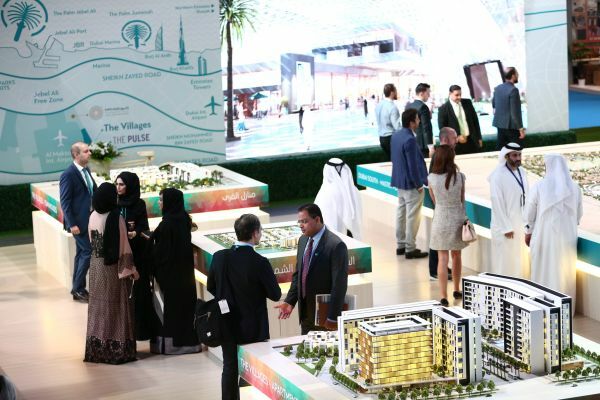 Cityscape Global, the region’s largest real estate investment event will open its doors next week at the Dubai World Trade Centre from 2-4 October 2018. Cluttons said their advice can also be applied to expatriate families looking to breakeven on rent and invest in multiple assets in Dubai. “For a family that has money to invest, we would also advise to stick below AED1.5 million price point, which represents the most stable market segment currently,” added Paul. Research from JLL suggests that while residential prices in Dubai have fallen around 20% since the last market peak (in October 2014), the market is now approaching the bottom of its cycle, with only limited further declines expected over the next year. Prices and rents are both expected to soften further in the short term but a solid case can be made for long-term expatriates to purchase property rather than continuing to rent. Craig Plumb, Head of Research at JLL MENA, said: “The majority of expatriates in the UAE have traditionally sought to rent rather than purchase properties. As the market has become more mature (with less price volatility than in previous cycles), expatriates can be more confident to buy at close to the bottom of the current cycle to benefit from potential long term capital growth. Recent changes to Visa laws (allowing 10 year residency for certain groups of expatriates is also likely to increase demand to purchase property in the UAE for their own occupation. Cityscape Global returns with support from Foundation Partners: Dubai Holding and Nakheel; Platinum Sponsors: Al Marjan Island, and Eltizam Asset Management; Silver Partner: Noyanlar, Tamleek Real Estate; and Strategic Partner: Dubai Land Department. Cityscape Abu Dhabi will return from 17-19 April 2018 at Abu Dhabi National Exhibition Centre.